Our Winter Craft Workshop series starts TODAY with Making a Patterned Christmas Tree with Dana Garczewski of The Patterned Peacock. Today, Sunday, December 1st from 12-2pm join Dana to deck the halls! 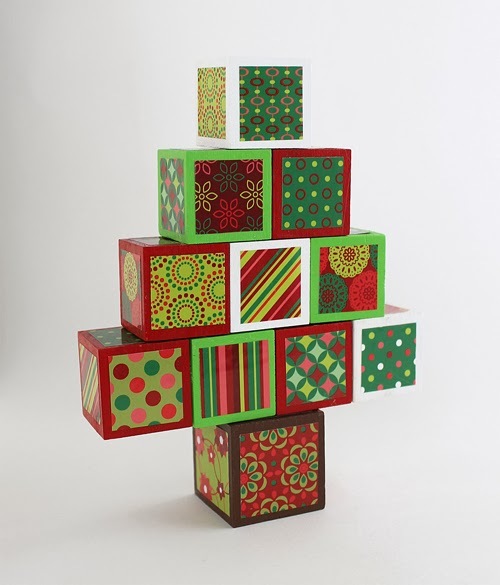 During this workshop you’ll learn how to create a bright and festive wooden Christmas tree. Mix and match paint colors and patterns to create your own unique tree. Finished decoration measures 5” wide x 6.5” high. Limited to ten participants, the cost per person is $15, and the workshop is suitable for teens and adults. This and all of our workshops will be held at 2 Brookline Place (entrance on Pearl Street right across from the Brookline Village T station), Brookline, MA 02445. Join us throughout December at the 2013 Boston Handmade Holiday Gallery for crafting fun for people of all ages and skill levels. Check out our website for the full details, and reserve your spot by emailing BostonHandmade@gmail.com.